Mexico’s Riviera Maya is a stunning expanse of perfect, sparkling white sand, bathed by the warm, turquoise-clear waters of the Caribbean Sea, dotted with swaying coconut palms, and soaked by the rays of a tropical sun. Extending along the eastern coast of Mexico’s Yucatan Peninsula, from Tulum on the south and stretching northward for some 80 miles to Cancun, the popularity of the Riviera Maya has attracted investors and developers as well as large numbers of tourists. This tropical tourism goldmine and expat haven has become the Caribbean’s number one recreation destination with more than 5 million tourists visiting each year. 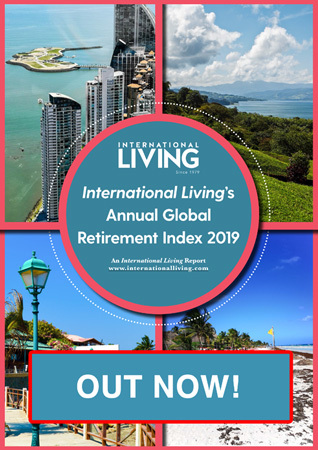 And with all that this area offers, it’s no wonder that the Riviera Maya also continues to attract large numbers of expats seeking their perfect, tropical retirement destination. 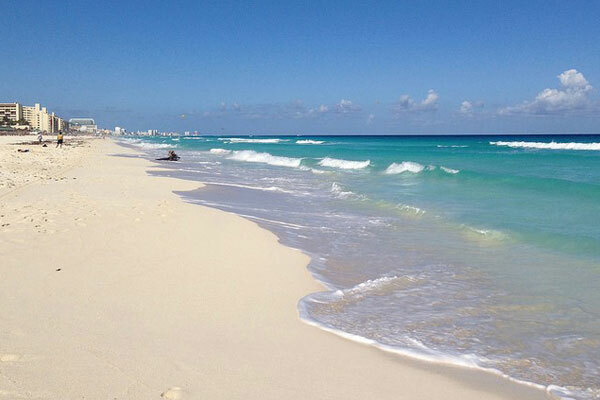 Cancun’s bustling, world-famous Hotel Zone is filled with dozens of beautiful, large, all-inclusive resorts, each boasting lovely landscaping and a perfect, sugar-sand beach. Cancun is the undisputed king of tourism for this region with a busy international airport, over 700 restaurants, hundreds of bars and nightclubs, and a vibrant tour industry providing visitors with opportunities to visit many of the area’s Maya ruins as well as lots of cenotes (underground caverns filled with sparkling fresh water) and countless diving and snorkeling excursions. Oh, and one very cool semi-submersible tour of the reef where you can observe what divers see, through large windows, while remaining perfectly dry. Driving south from Cancun, the tiny fishing village of Puerto Morelos retains its charming village core even though growth has threatened to erase it. Small boats are bobbing just offshore waiting to take passengers fishing, snorkeling, or scuba diving along the world’s second-largest offshore reef. 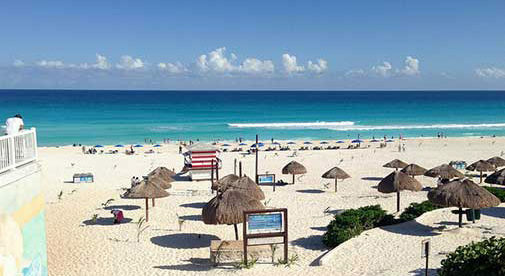 Continuing south, Playa del Carmen has achieved the reputation as the fastest growing city in all of Mexico. Its beautiful beaches compete with the famous 5th Avenue promenade where pedestrians can enjoy hundreds of trendy shops, cafes, restaurants, and street vendors in an atmosphere that screams, fun! 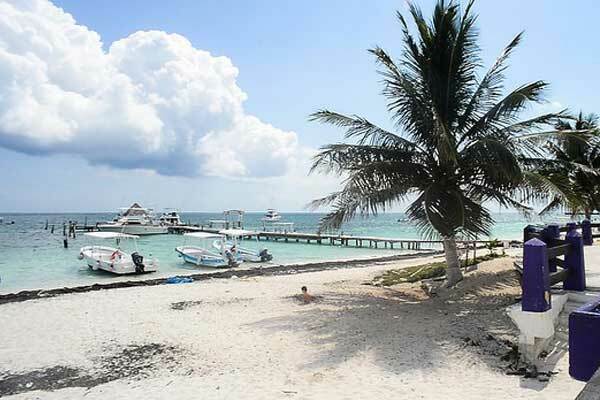 Akumal and Tulum are the two towns at the southernmost end of the Riviera Maya and each has begun to feel the pressure that popularity brings to a place. Akumal is unique. The beautiful Bay of Akumal holds a large collection of sea turtles. Numerous, regulated tour operators will guide small groups of snorkelers through the grassy-bottom bay as gentle turtles bob and float nearby, often diving to the bottom to graze. Tulum offers the peace and tranquility of a small village sitting alongside a beautiful, restored Maya ruin. The town of Tulum has a vibe that exudes new age, massage, vegan, yoga, and recycling—a very cool place that seems to marry well with the ancient Maya influences of the area. 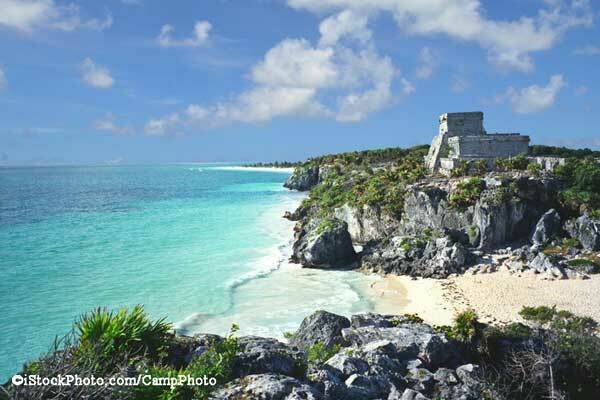 The beautiful Maya ruin at Tulum is a must-see and you can even take a swim in the Caribbean from its very own beach. Visitors and residents alike have many options for recreation along the Riviera Maya. And while many of those choices are connected to water-based activities such as diving, snorkeling, swimming, boating, fishing, surfing, and trying to keep your beer cold under a tropical sun, land-based activities are equally numerous and popular. Unlike my wife, Diane, I’m not a huge fan of swimming in the ocean. Such things as diving, snorkeling, and splashing in the surf hold no great appeal. I much prefer lounging around the pool and taking a dip in fresh water when I need to cool off. But for those who do enjoy the sea, there are dozens of dive shops specializing in open-water dives, reef tours, and even cave dives into one of the many peppering the Yucatan Peninsula. And when the seasonal whale shark migration occurs mid-May through mid-September, plentiful guides/tour operators are available to provide an opportunity to actually swim alongside these gentle giants of the sea. Tours run from about $85 to $100 per person. The semi-submersible reef tour I mentioned earlier is loads of fun with an entertaining ride to the reef provided by a party-atmosphere shuttle boat providing free beer and other cold drinks while pounding, popular music reminds you that you’re not working. The ride to the reef takes about 45 minutes, where you’ll transfer to the semi-sub. The cost is around $50 per person. An insider tip: If you are resident in Mexico, many dive shops will offer a discount. Simply present your national ID card. Mexico’s beaches, along the Riviera Maya, the Gulf of Mexico, and the Pacific Ocean, are all open and accessible to the public. Even if you were to purchase a lovely beachfront home, anywhere in Mexico, the beach in front of your home belongs to Mexico’s people. That said, access to the Riviera Maya’s beaches is often strictly controlled as expensive resorts and hotels line most of the coastline and access to their private property is strictly gated and secured. Once on the beach, however, a sunbather is free to roam and enjoy the entire length. Occasionally, an over-zealous resort owner attempts to restrict access to the beach by erecting a fence or hiring security guards. These efforts are illegal and never last long. If you are visiting the Riviera Maya for longer than a week, or you just want to get away from the tourist crowds, hiring a rental car will give you the option to enjoy the Yucatan Peninsula’s lesser-known and superior pleasures. The owner of a tiny guest house in the village of Puerto Morelos offers the Layla Guesthouse Mayan Experience Cenote Tour. He limits guests to seven or eight people. You’ll spend the day exploring rural, Maya Mexico, visiting a wood carver’s shop, touring the jungle with a Maya medicine man, bathing in a stunning hidden cenote and finally, dining in the humble home of a Maya elder as his family prepares a meal for you. You can assist grandma as she tries to teach you how to hand-form a tortilla. For those seeking to experience Maya ruins without the tourist hype, drive north and west from Cancun for about two hours to find the Maya Archeological Zone called Ek’ Balam. This ruin is still being excavated but there is plenty to see. You will have full access to all parts of every building and authentic Maya descendants offer a guide service, in English, that is well worth the $30 price. Ever wonder what sort of special mortar is able to withstand nearly 2,000 years without crumbling? I’ve always wondered so I asked. And now I know. The limestone “beds” in the sleeping chambers are very small, perhaps five feet in length with a wall on each end…you can’t even dangle your feet off the edge (Maya people are tiny). And how did the Maya royalty protect their bloodline? It’s all fascinating…and worth the $10 general entrance fee that’s collected at the entrance. Another tip…residents get in free on Sundays. The Riviera Maya is not only a wonderful place for a vacation but it has proven to be an equally wonderful place to live.